The Target Saver: Target:Goody Ouchless Hair Elastics, Only $0.99! 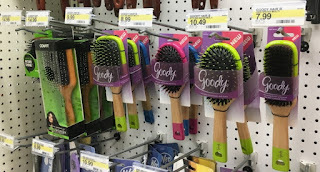 Target:Goody Ouchless Hair Elastics, Only $0.99! Head over to Coupons.com to print these two new Goody coupons to save on hair elastics and brushes at Target! These are perfect to grab for the kids Easter Baskets.